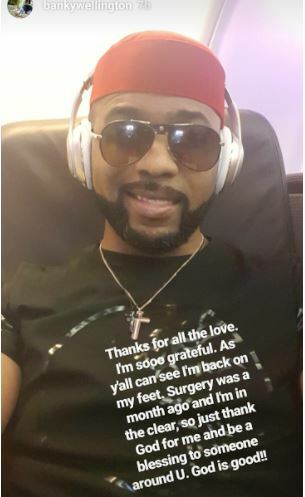 BankyW took to Insta-stories to reply all the messages of love and concern he received after disclosing yesterday that he had successful surgery on cancer tumours in his skin. 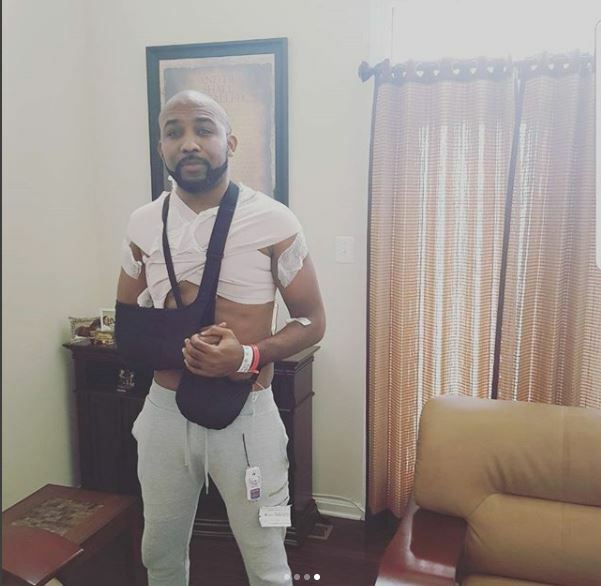 Yesterday, Singer Banky W who has been away for some time revealed he was treating a rare strain of skin cancer tumours which resurfaced after they first appeared 10 years ago. Thanks for all the love. I’m sooo grateful. As y’all can see i’m back on my feet. Surgery was a month ago and i’m the clear, so just thank God for me and be a blessing to someone around you. God is good!! !